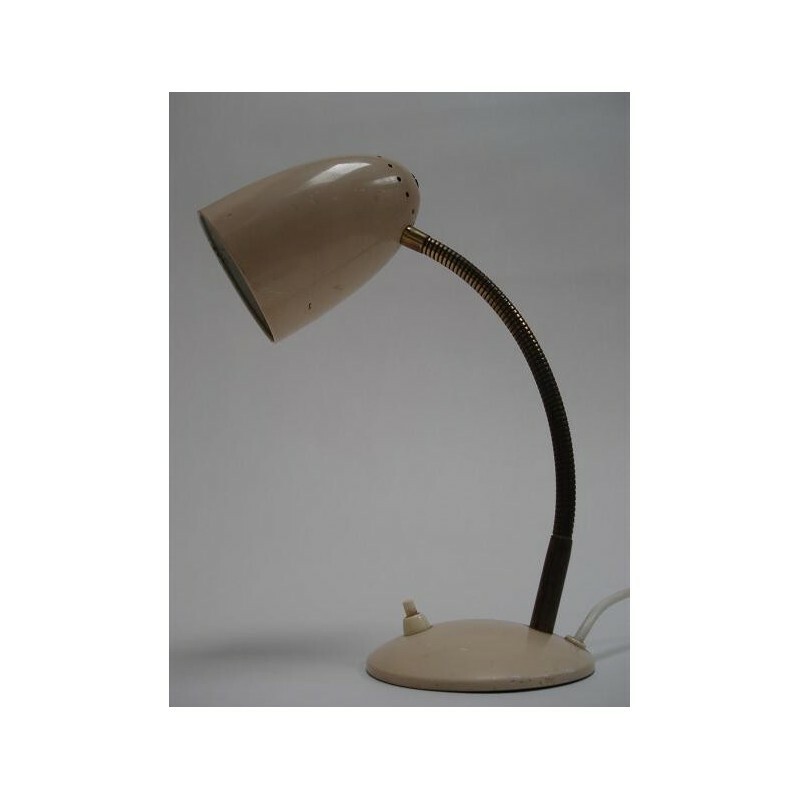 Vintage desk lamp from the sixties. 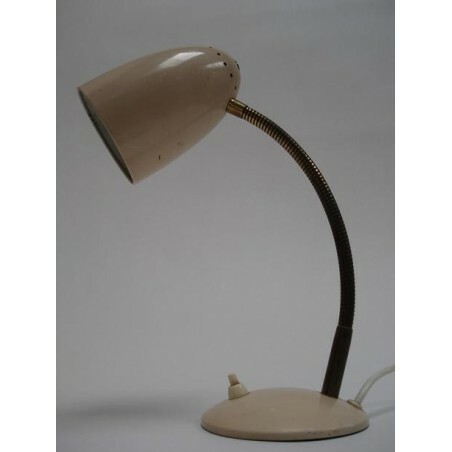 The lamp has a flexible rod. The lamp finds oneself in a good state. Altitude is 30 cm the cap is 9 cm in average.